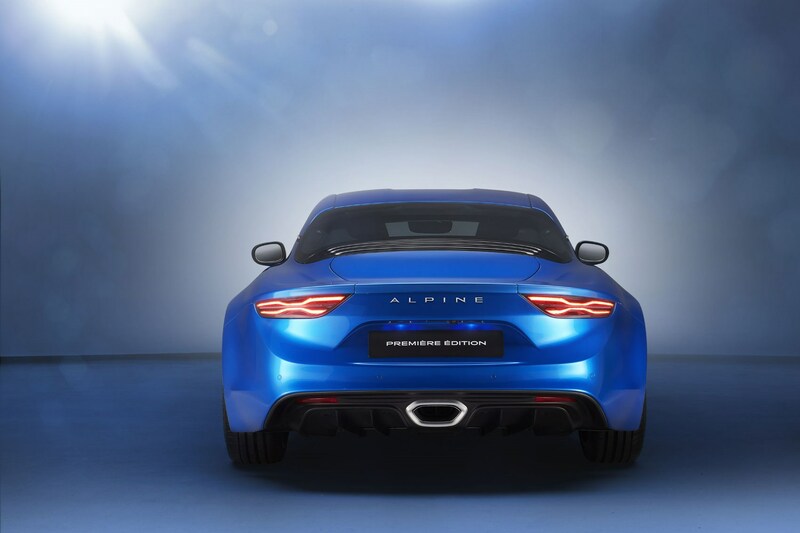 Alpine’s bombastic comeback into the world of motoring was recently enforced once again at the 2018 Geneva motor show, by the new A110 Pure and Legende models. 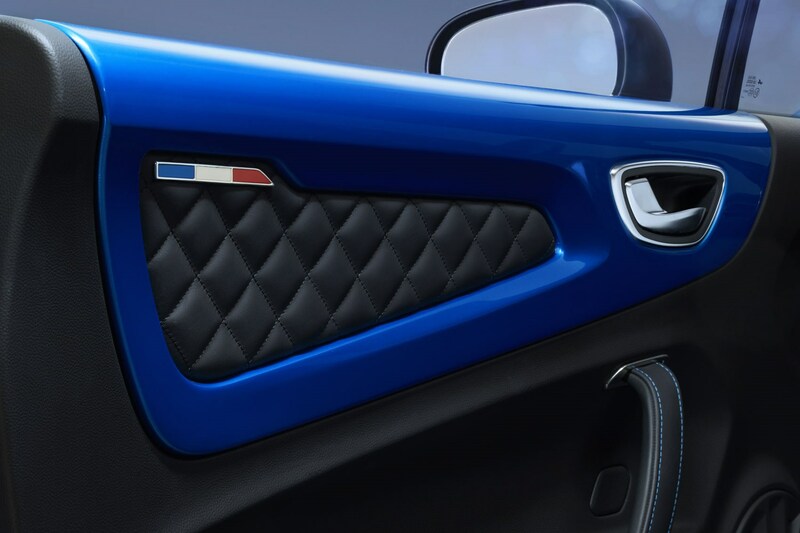 The new trims are designed to broaden the Alpine’s appeal. 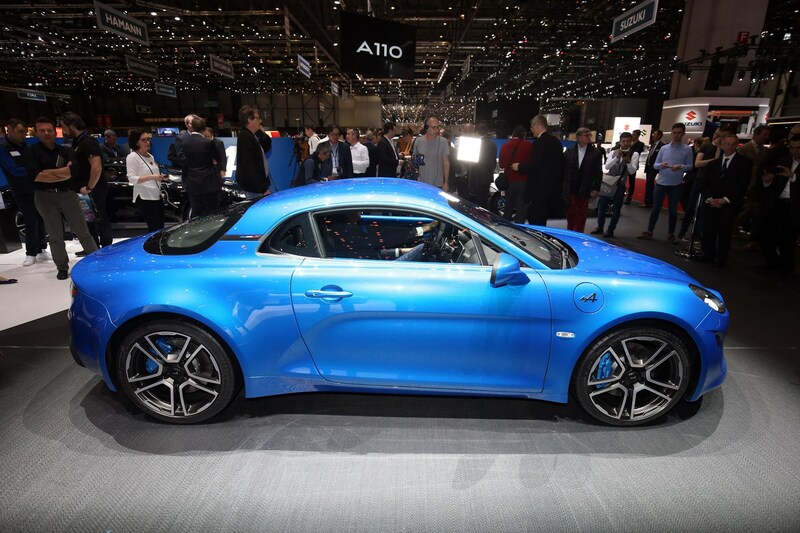 The A110’s characteristics in these new trims haven’t changed much from the sold out Premiere Edition; aluminum chassis, 1.8-litre turbo charged engine, and front and rear double wishbone suspension. Pricing starts on-the-road at £46,905 for the Pure and £50,805 for the Legende with the Premiere Edition selling out in 5 days after it was first announced. The Pure is a more driver-centered model, while the Legende is more of a tourer than its counterpart. 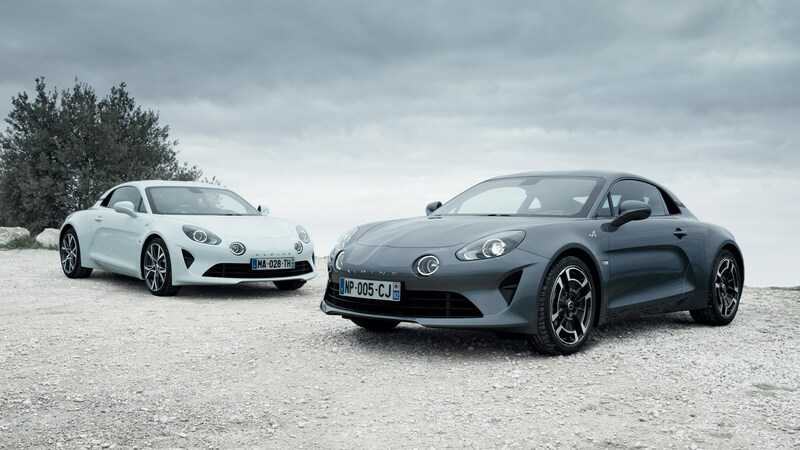 Reservations for the Pure and Legende models are now open through the Alpine dealer network via the Alpine App, so you can kit out your new A110 just how you like. 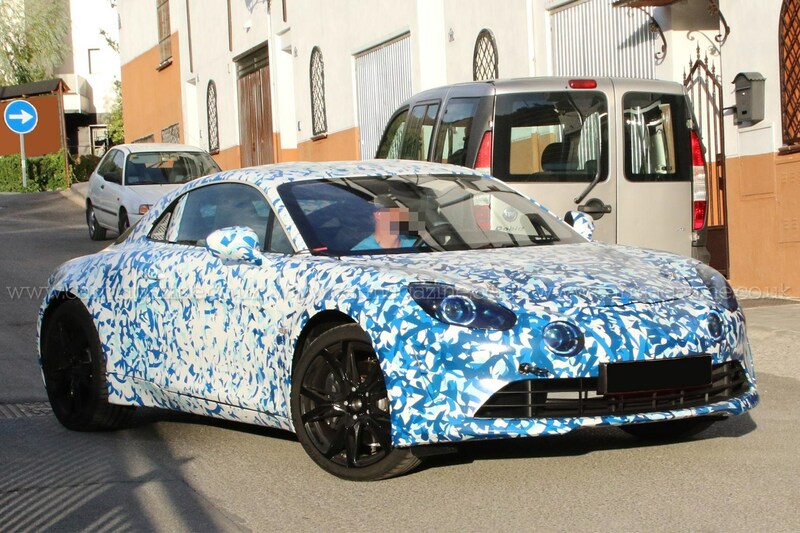 Keep reading for all you need to know about the new Alpine A110. 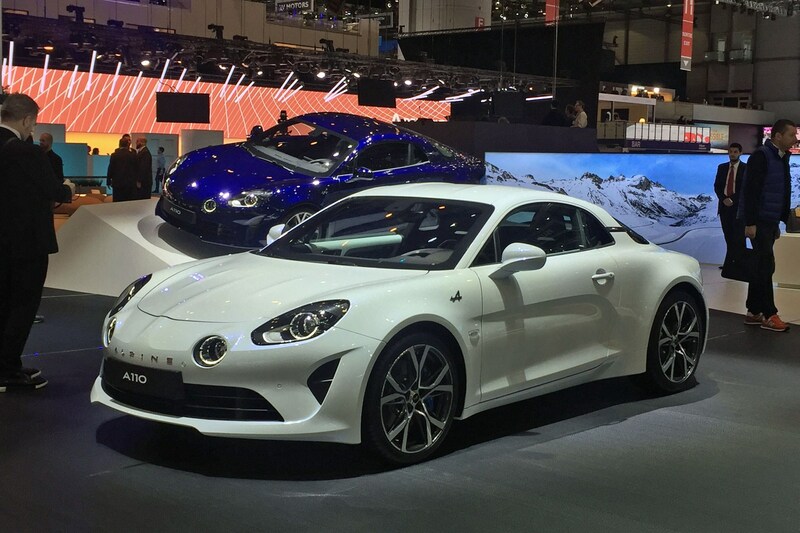 What’s the difference between the A110 Pure and the A110 Legende? 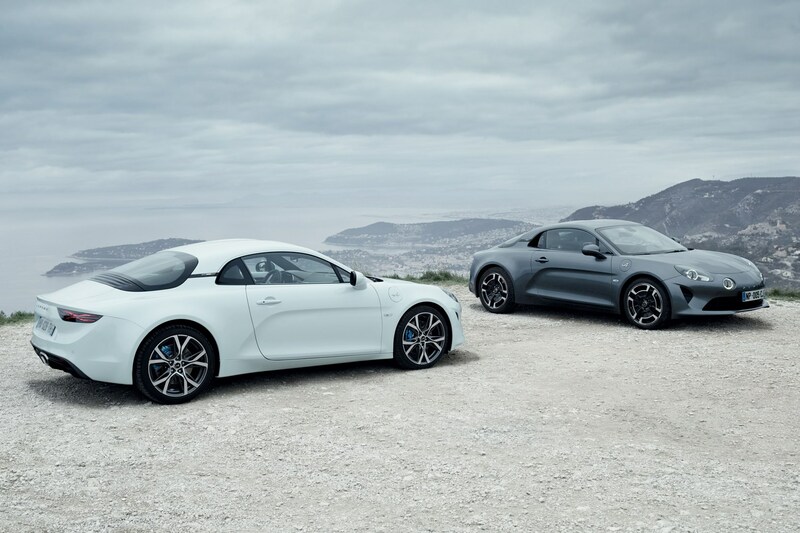 Pure versions (above) predictably focus on simplicity, and come with a leaner equipment list than the Premiere Edition and Legende variants, including 17-inch alloy wheels (the smallest available on the A110), a drive mode selector, climate control, sat-nav and LED headlights. One-piece Sabelt sports seats (weighing in at just 13.1kg each) also make the grade, as do leather and microfiber interior upholstery, and matte carbonfibre cabin trim. Should customers wish to load up their Pure A110 with options (although surely that defeats the point), they’ll be able to choose from extras such as powerful Brembo brakes, an active sports exhaust, 18-inch alloy wheels, six-way adjustable comfort seats and a choice of two Focal audio systems. Opt for a Legende-spec car (above), and while the options list is largely the same, full-leather upholstery in black or brown plus a gloss-finished carbon fibre interior trim come as standard. As do distinctive two-tone 18-inch Legende alloy wheels that pay homage to the A110 Berlinette 1600S’s original wheel design. Alpine is also adding three new paint colours to the original Alpine Blue and Noir Profound shades, with Blanc Irisé, Bleu Abysse and Gris Tonnerre all complementing the available palette. 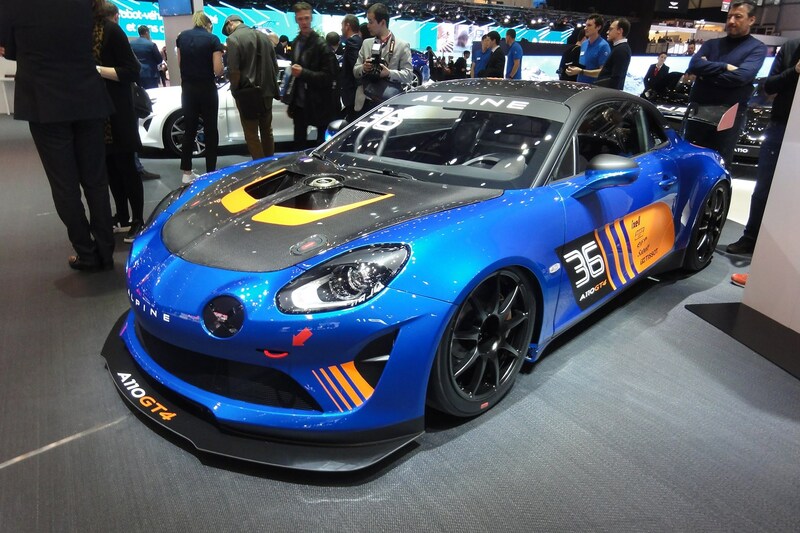 And that Alpine A110 GT4 racing version? 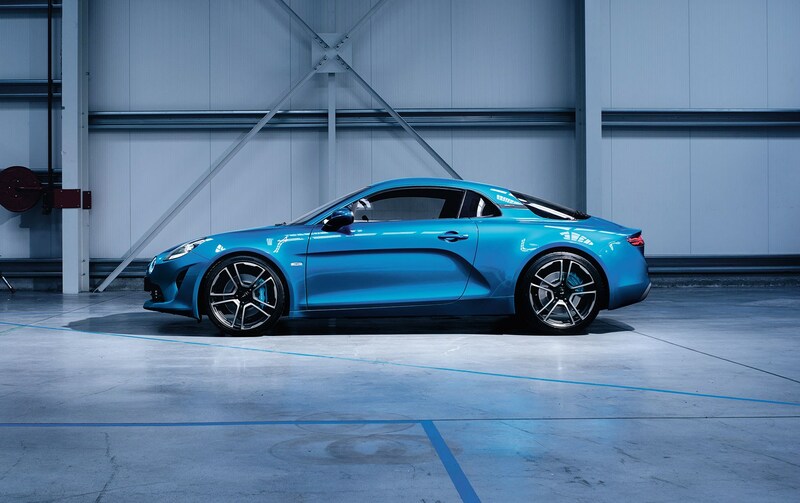 Developed and built by Alpine’s motorsport partner Signatech the track-only GT4 A110 , combines a downforce-generating front wing and rear splitter, Brembo competition brakes, heavy-duty springs and dampers, racing tyres, a sequential gearbox and extensive upgrades to the standard 1.8-litre turbocharged four-pot. 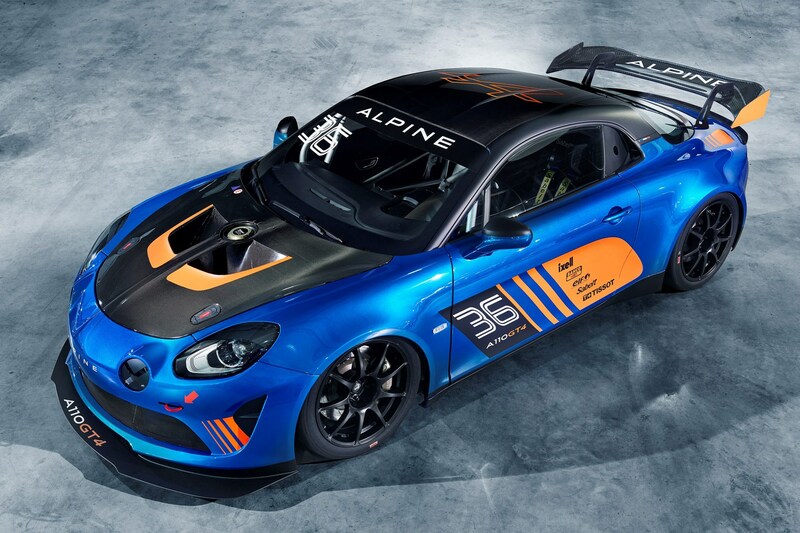 An exact power figure has yet to be confirmed – and will be subject to balance of performance rules anyway – but Alpine has said that power-to-weight will hit 312bhp per tonne, the maximum allowed in the GT4 category. Customer teams will be able to run the car with support from Signatech in the latter half of the 2018 season, with full production commencing in time for an assault on the 2019 championship. 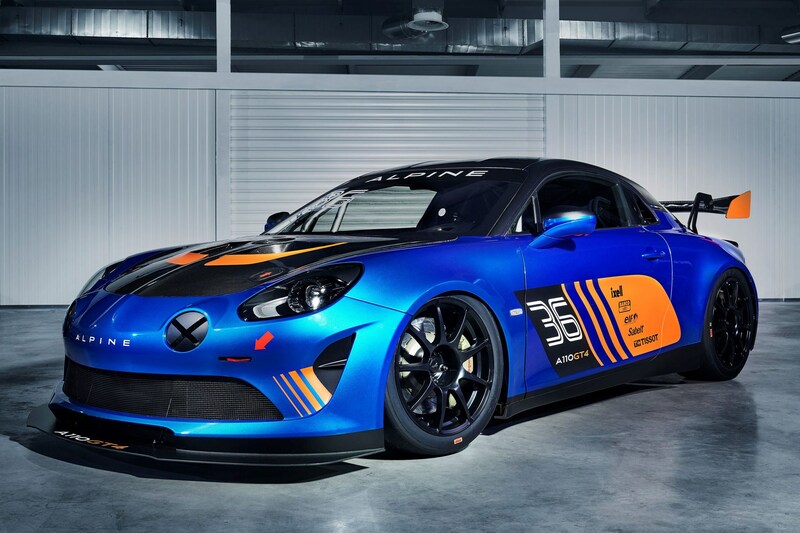 And for those that have already bought the £90,000 Alpine A110 Cup racing car, Signatech will offer the opportunity to upgrade to the fully-fledged GT4 package using a special conversion kit of parts. 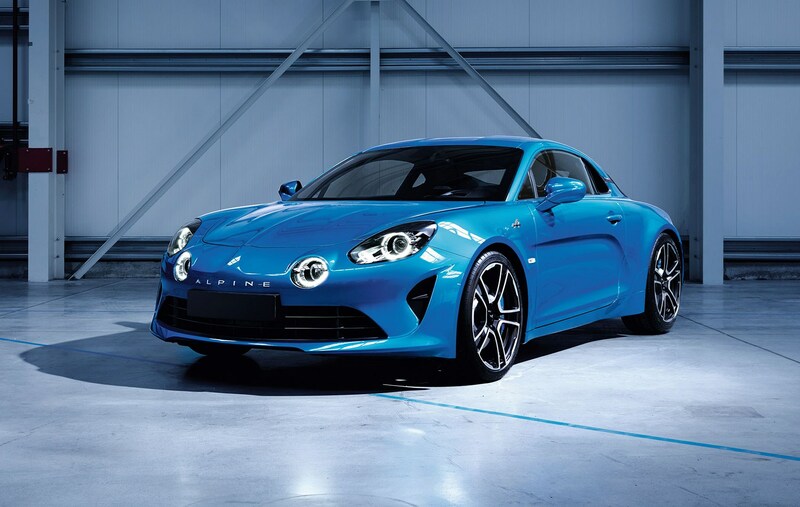 Alpine is opening seven new sales centres across the UK to sell its eagerly awaited comeback kid, the new A110 sports car. The new showrooms will open in spring 2018, just as the first UK customer cars arrive. And those first owners should count themselves lucky: they're getting a full five-star car which has received unanimously strong reviews from the motoring press. 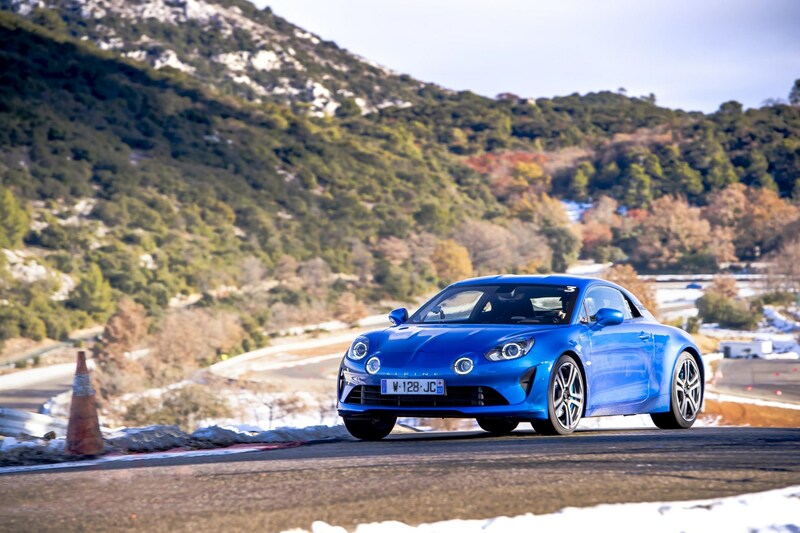 Each Alpine Centre will be based at an existing, larger Renault dealership and have dedicated staff to sell the new sports car, which is a rival to the Porsche 718 Cayman. How were the locations picked? 'The Alpine Centres have been chosen for their locality to prime regions for sports car enthusiasts,' according to the company. Each sales area will be decked out in Alpine branding and painted in Alpine blue. 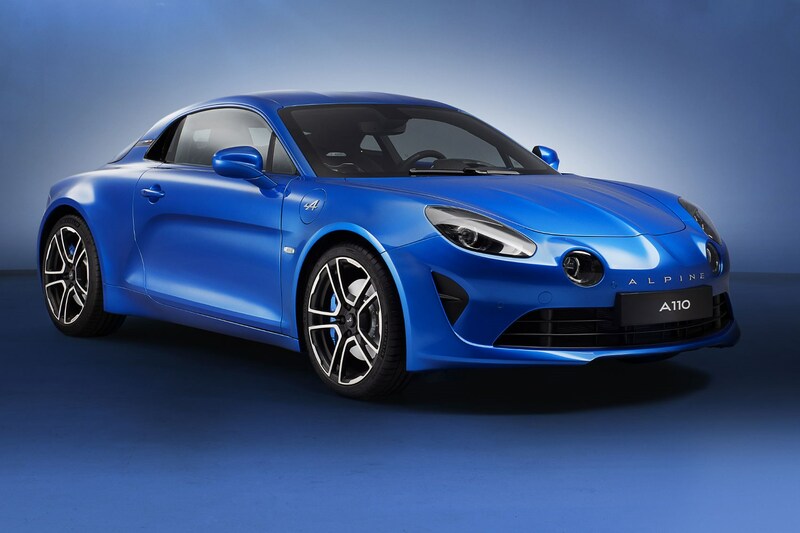 The new Alpine A110 is Renault's 2018 two-seater sports car that's designed to offer a French take on the sporting coupe to tempt you out of your Cayman or TT. 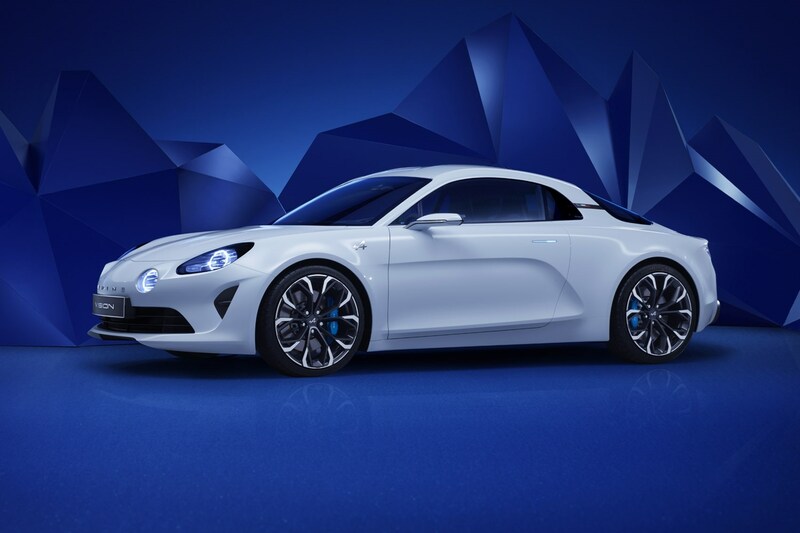 The resurrected Alpine was shown in full for the first time at the 2017 Geneva motor show in what is effectively the official relaunch of the mothballed sports car brand, synonymous with beautiful production coupes and competition success in rallying and endurance racing. 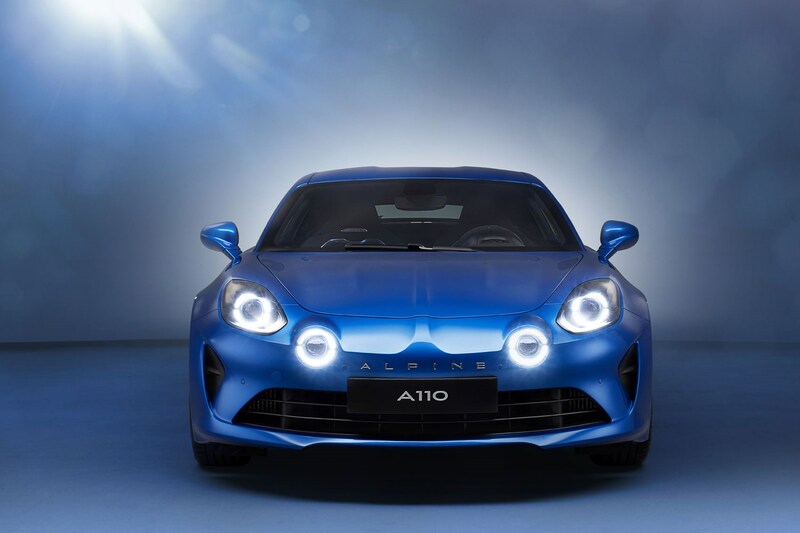 The A110 goes on sale in the UK in right-hand-drive form in spring 2018. The Premiere Edition, whose run of 1955 units (Alpine was created in ’55) sold out in days, retails for €58,500 in France, or nearly £51k at the current exchange rate – the UK price is yet to be set. Key to the A110’s ethos is light weight. 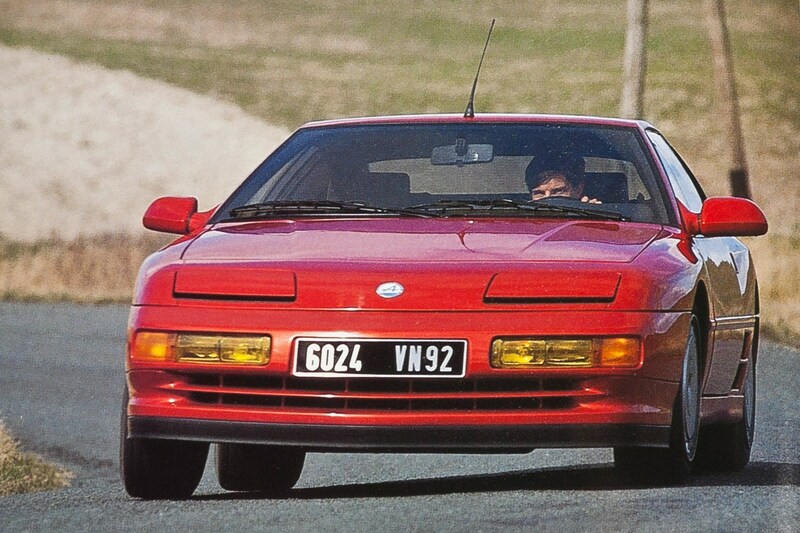 After considering steel, carbon and composites, the Alpine team settled on an aluminium structure similar to the one upon which the Lotus range is built. 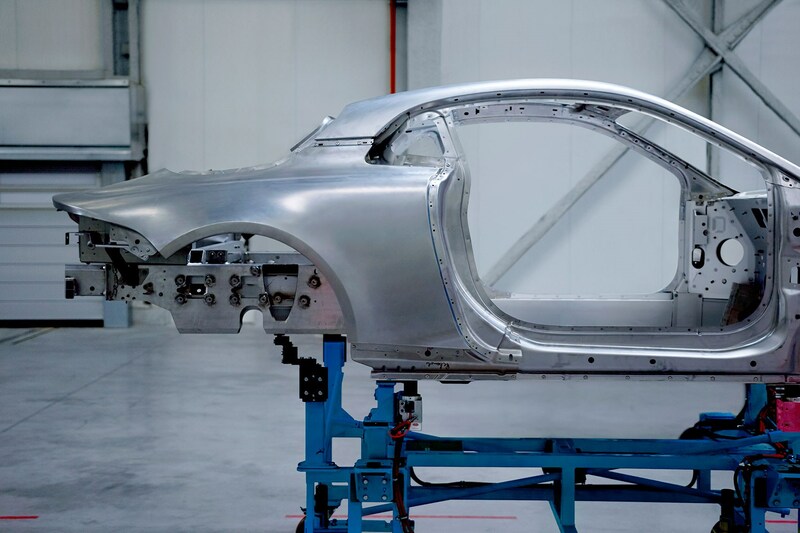 Two meaty extrusions either side of the passenger compartment bring the stiffness, with an origami mass of aluminium body and chassis parts glued and riveted to them – the only welding is on the rear subframe, where long-term exposure to the engine’s heat may have compromised the structure. Suspension is double wishbone front and rear, and comprises a series of beautiful aluminium parts. New brakes from Brembo also help save weight, going without the separate rear handbrake calipers found on most brake set-ups to save another 2.5kg. 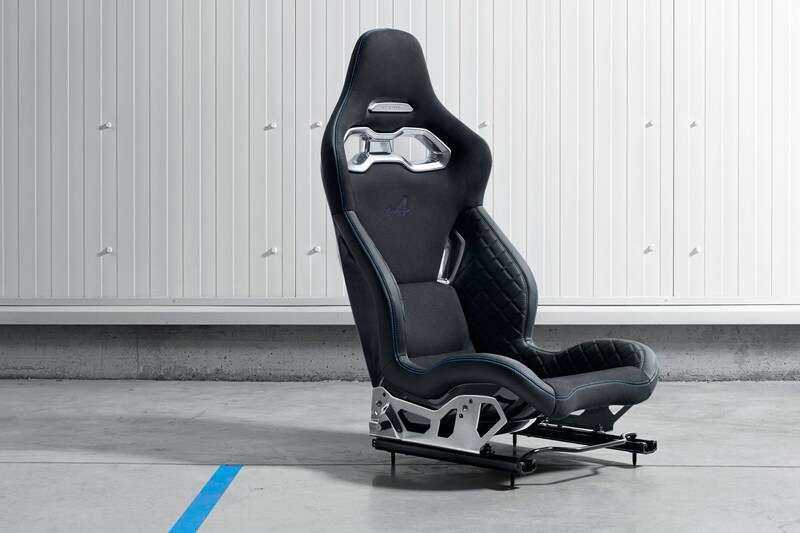 The Sabelt seats are almost half the weight of the Recaros found in the last hot Megane, the Trophy R.
This dedication to low weight has delivered a wet weight (ready to run, 90% full tank, no driver) of 1080kg in the A110’s most basic form. Weight distribution is 44:56 front/rear to further boost a sense of agility, with the fuel tank tucked behind the front axle and the engine mounted ahead of the rear axle. 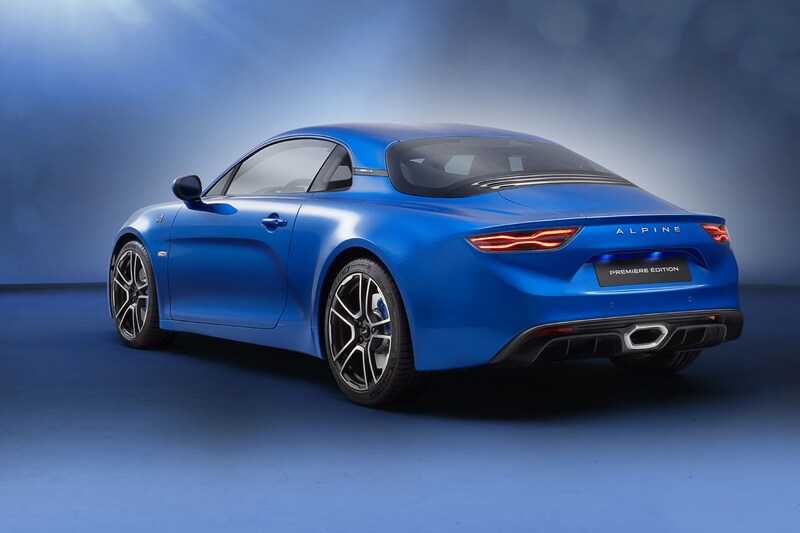 The curvaceous, spoiler-free body delivers a drag coefficient of just 0.32, furthering the case for the Alpine being a 21st century sports car of which Colin Chapman would approve. 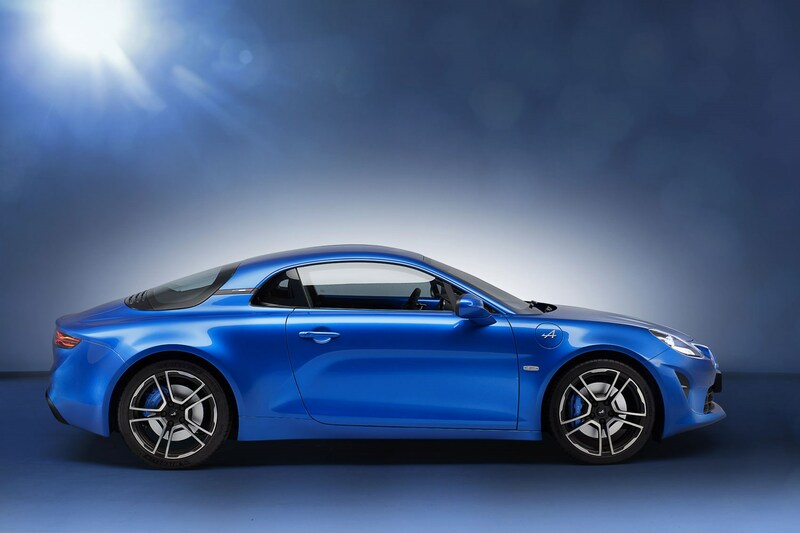 Power comes not from an adapted existing Renault unit but a new 1.8-litre four developed for the A110. 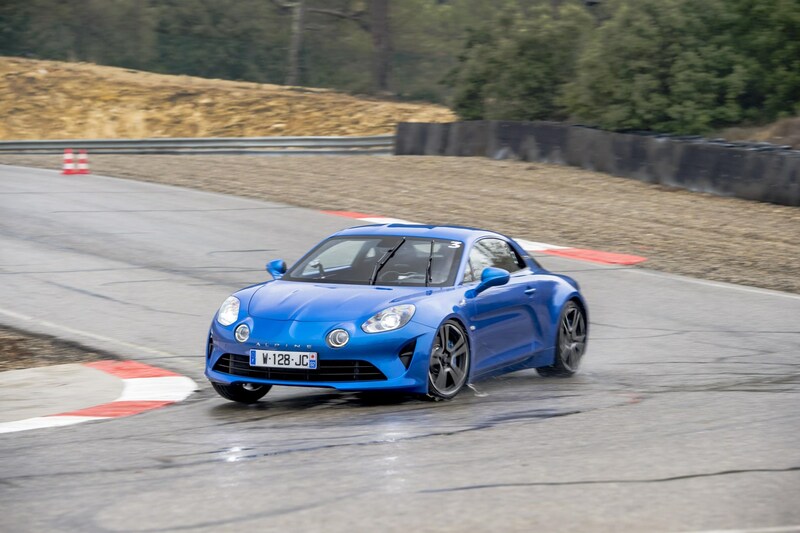 While its raw components will see service in Renaults, Alpine are exceedingly proud of the intake system, exhaust (Alpine chief engineer David Twohig claims thousands of hours have been dedicated to creating a soundtrack worthy of a pedigree sports car), control software and calibration, and that these will be ring-fenced as Alpine property. Twohig points to the engine’s architecture when it comes to suggestions of lag and a soft response – ‘It is a relatively small turbo and it is extremely close to the inlet ports, for a fast response. This was key,’ he says. 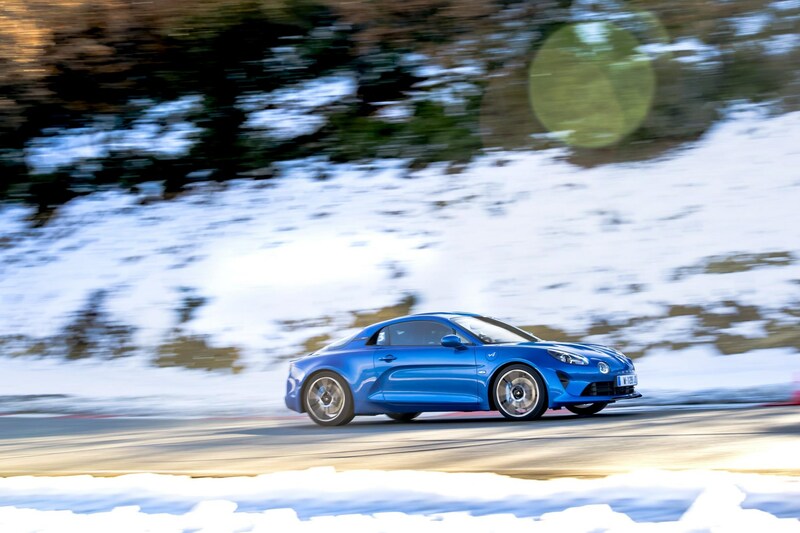 The engine delivers 249bhp and a maximum torque of 236lb ft – some way short of an entry-level (£39,878, 0-62mph in 5.1sec) 718 Cayman’s 296bhp and 280lb ft, but of course the Alpine is significantly lighter. Drive passes to the rear axle via a seven-speed Getrag gearbox running unique ratios. Pin it and Alpine claims 0-62mph in 4.5sec. Top speed is electronically limited to 155mph and CO2 emissions stand at 138g/km. Stability control is reigned out in Track, the feistiest of the three drive modes, with ESC off a long push on another button. Twohig reckons Track still allows for some pretty lurid slides, and that the A110 is all about feedback, feel and a broad, easy-to-modulate transition from grip to slip. Steering is an EPAS system, with Twohig suggesting that, with modern rubber, an unassisted system only becomes feasible with a weight of 850kg or less. The A110 is cute as button in the flesh, and underpinned by the kind of delectable componentry typical of much more expensive, faster supercars. 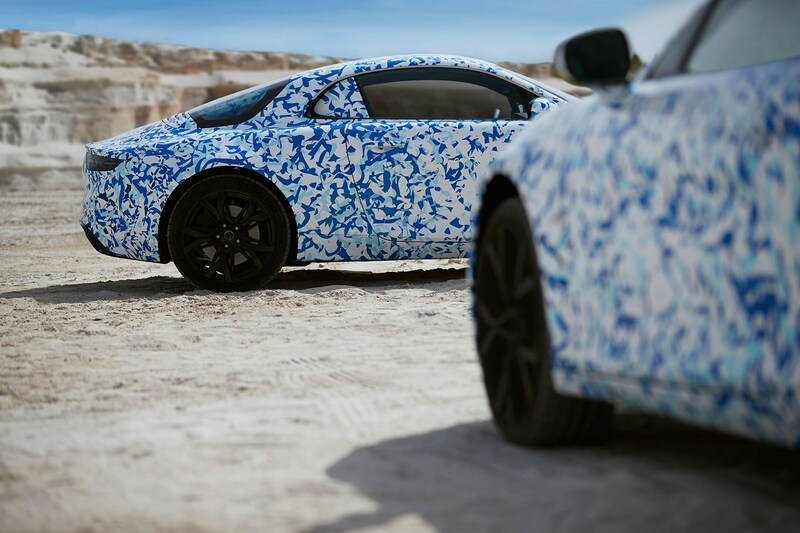 The suspension parts in particular are works of art, as is the alloy body-in-white – Alpine’s Dieppe base has undergone an extensive re-fit to be able to produce the car, and the workforce has swollen in size from 400 to 541 accordingly. The design melds classic curves with some neat 21st century detailing, not least the striking X-shaped rear lights and the Premiere Edition’s knockout 18-inch Fuchs wheels. 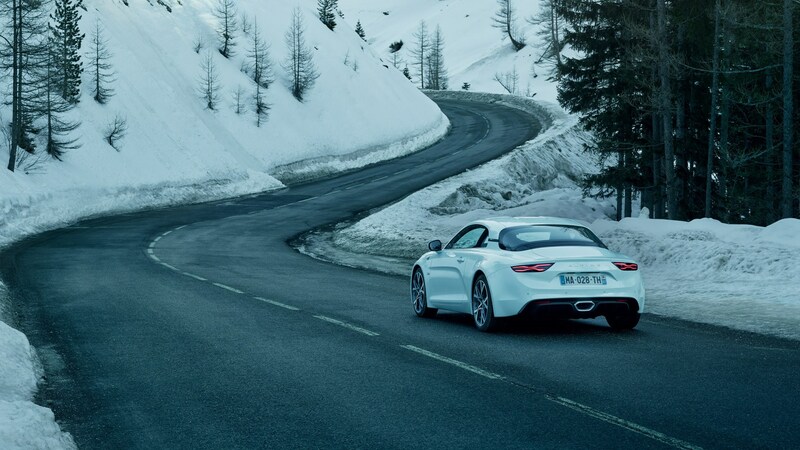 We should drive the A110 late this year, just ahead of the first customer deliveries. And we’re counting down the days. 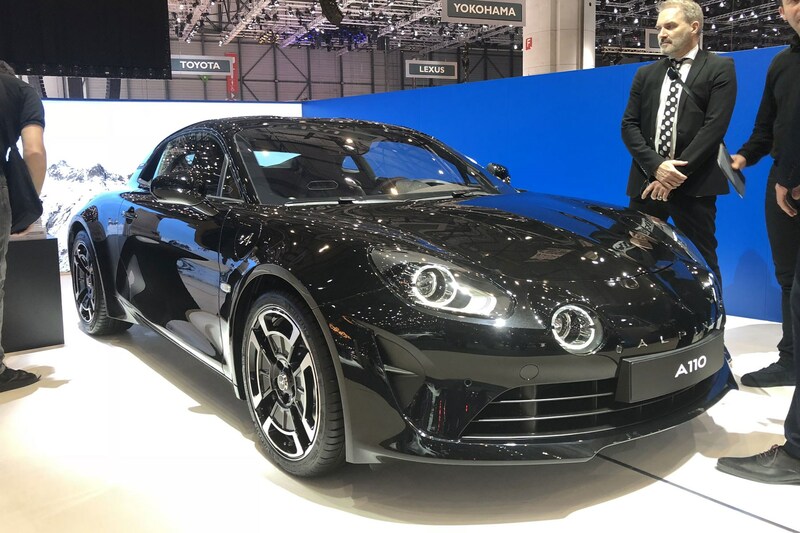 This has been one long gestation: Alpine and Caterham announced a joint venture back in 2012, only for the collaboration to unravel, with the French going it alone. Check out the Alpine Vision Concept from 2016 (below) to see the inspiration for the production car. Very little has changed from drawing board to showroom spec.